How I Got My Start is a new series where YPG talks to trailblazers in the industry, across houses and departments, about their career trajectories, what they’ve learned, where they see the industry going, and wisdom they’d like to share with those of us at the beginning of our careers. Late March brought another snowstorm to New York, but Kate Rados ignored the snow and took the time to speak with YPG about the beginning of her career. Rados didn’t start her career in publishing. She first worked at MTV as a casting director, and then moved over to Food Network to work in publicity (and probably picked up a few great recipes along the way). She worked with some of Food Network’s top chefs, and some of those chefs had books. She was soon recruited to work at Sterling Publishing, the publishing arm of Barnes & Noble. She later moved to Penguin Random House, where she now heads Penguin Random House’s robust direct-to-reader engagement. Switching from television to books wasn’t easy. “Publishing has a common language, and figuring that out is complicated at first,” Rados said. She mentioned a few examples, many of them the sorts of things that we all have to explain to friends and family when we drop them into casual conversation, like the terms galley and ARC. Rados’s curiosity and interest in learning and innovation is clear in her advice to people starting out in publishing. If she could have done anything differently, it would have been to take opportunities to learn more about parts of the industry that didn’t fit her exact role. She recommends going to conferences and asking people in other departments and areas questions about their work (for that, we can shamelessly plug the Young to Publishing Conference, since Ms. Rados was a speaker in 2017). Her advice is to network. “Every little conversation makes a difference. Every job I’ve gotten has been through connections. Networking is really important.” She also recommends having a flexible mindset about change because publishing changes often, especially in the digital realm. She also suggests that newcomers to the industry or people trying to get into the industry should always work to expand their digital expertise. “Having an extra skillset helps,” she said. Learning a coding language, HTML, or online marketing can never hurt. 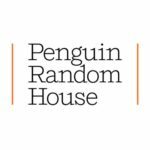 You can follow Penguin Random House on Twitter @PenguinRandom.